Using the VR room in Hyperium Starship with Datadisk 4 to teleport you to Mission 4. Virtual Shogunslinger is equipped upon entering the room. When cutting the bomb's wire, cut the top-right blue wire. + After clicking on "Explore"
- After clicking on "Explore"
Note: After completing the J6 in Space minigame or clicking on "Side Mission," click the top of the shop banner to see Jirago. 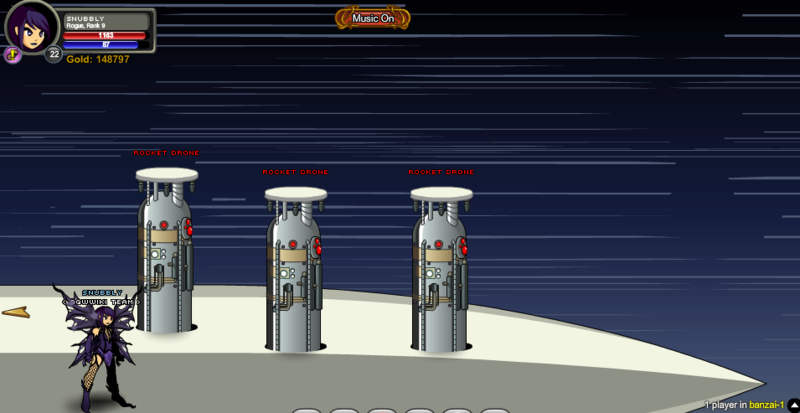 This screen cannot be accessed after completing the J6 in Space minigame. Defeat each monster in this room to access Screen 6. Walking left takes you to Screen 3. Thanks to Gamefreak123, L0re, Rich Wind and Worldmage.